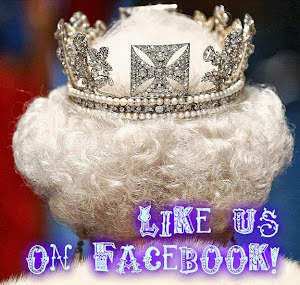 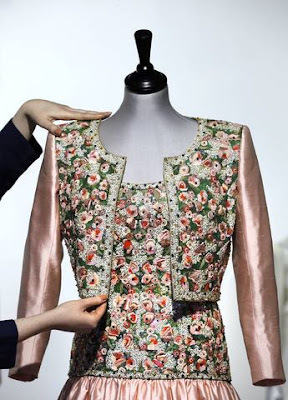 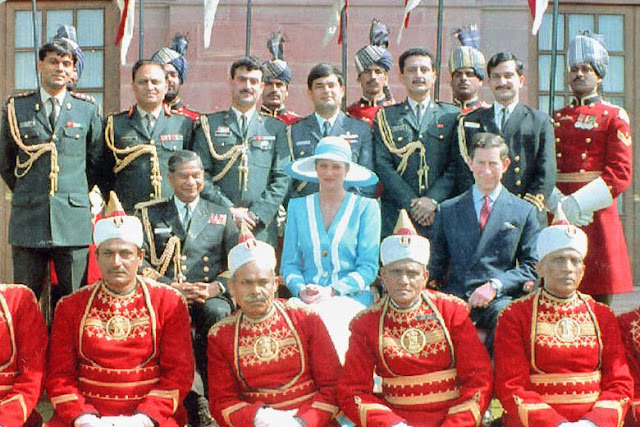 After our latest post in the Intriguing India series (you can find the previous posts here: Part I, Part II and Part III), which looked back at the official visits undertaken by the Queen, with less than a week to go before the Duke and Duchess of Cambridge depart for Mumbai, it's now time to take a closer look at more recent royal visits, starting with the one made by the Prince and Princess of Wales in February 1992. 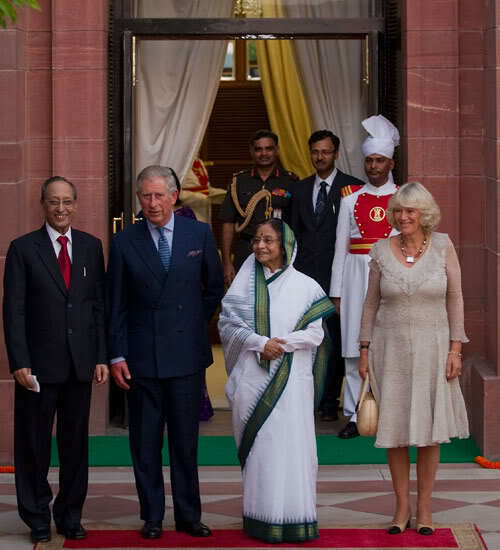 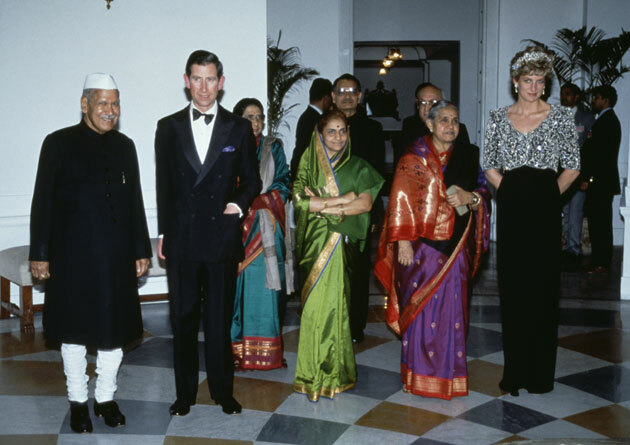 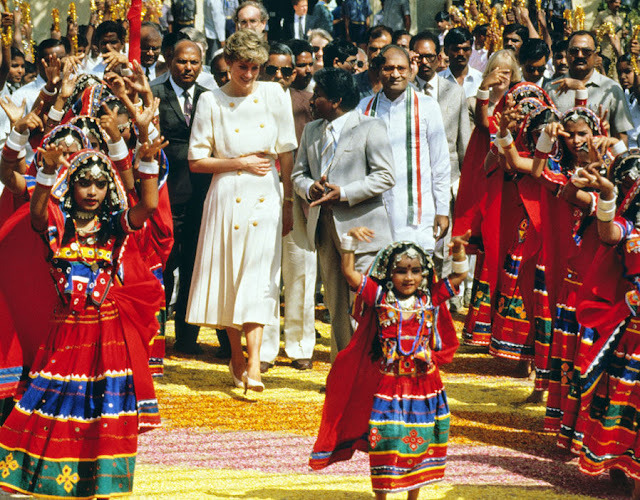 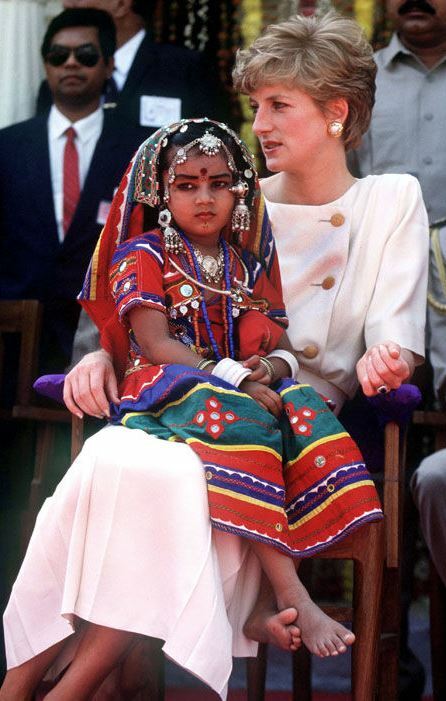 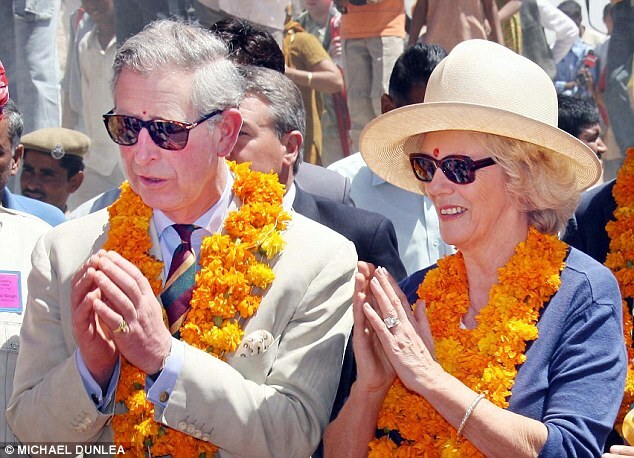 Prior to the 1992 tour, Prince Charles had already been to India on his own three times: to New Delhi in 1975, in 1980 when he met Mother Teresa and representing the Queen at the funeral of former Prime Minister Rajiv Gandhi in May 1991. 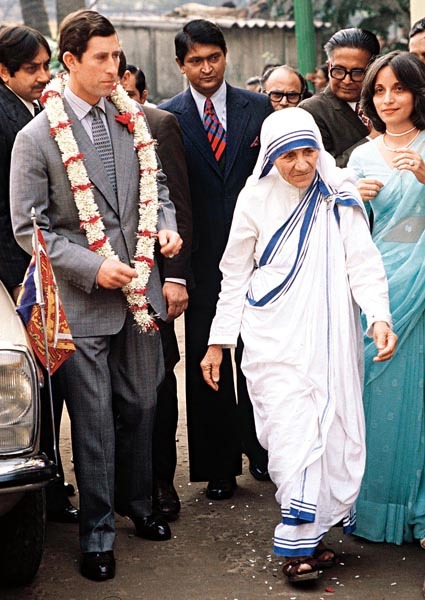 The Prince of Wales with Mother Teresa in Calcutta in 1980. 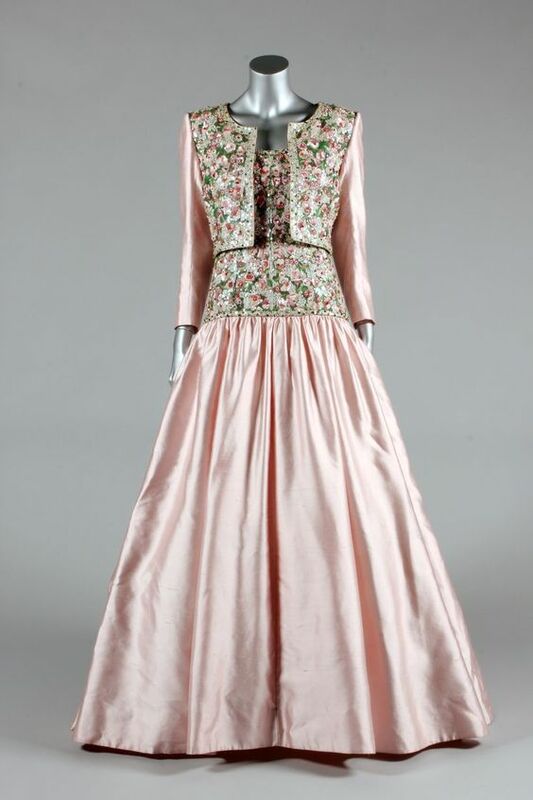 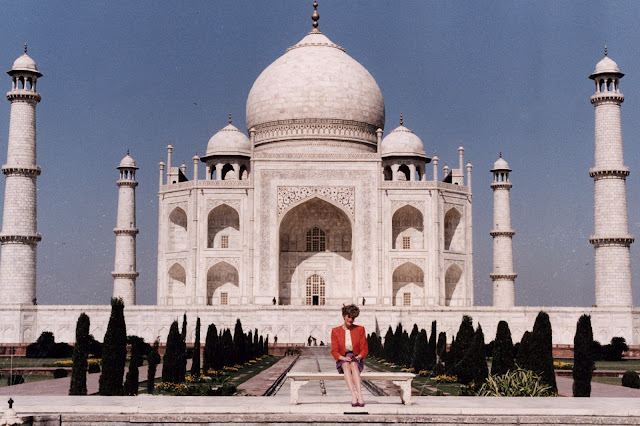 It was during this tour that the Prince visited the Taj Mahal and vowed to return one day with his bride. 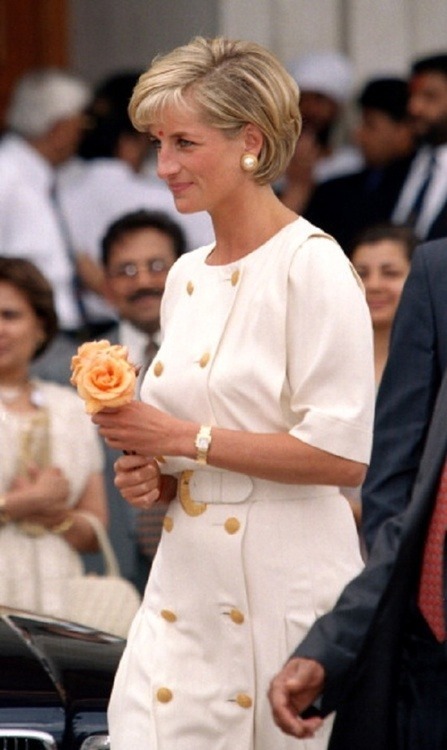 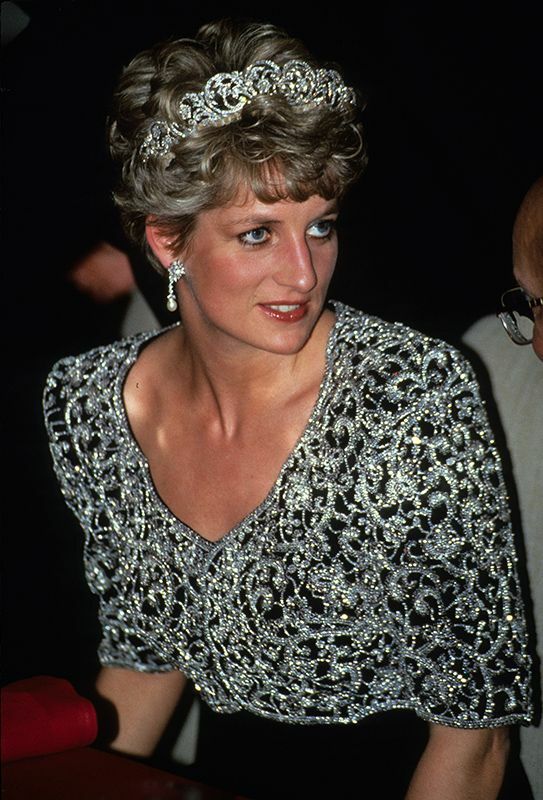 As it happened, the planned visit with Princess Diana didn't go ahead. 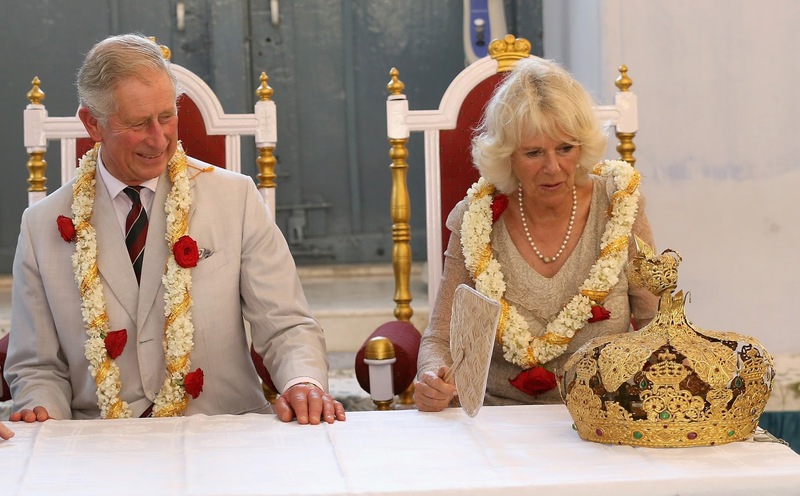 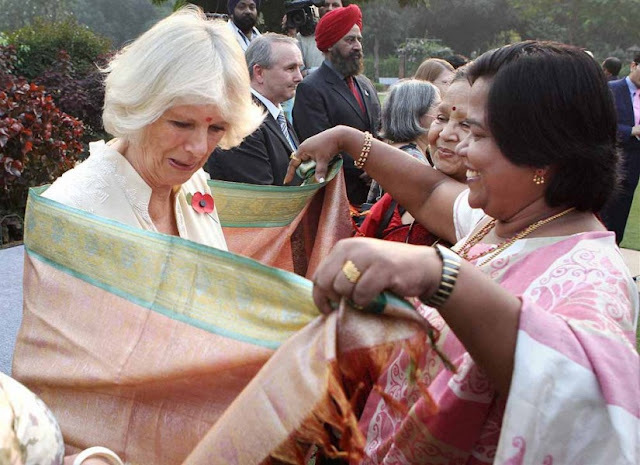 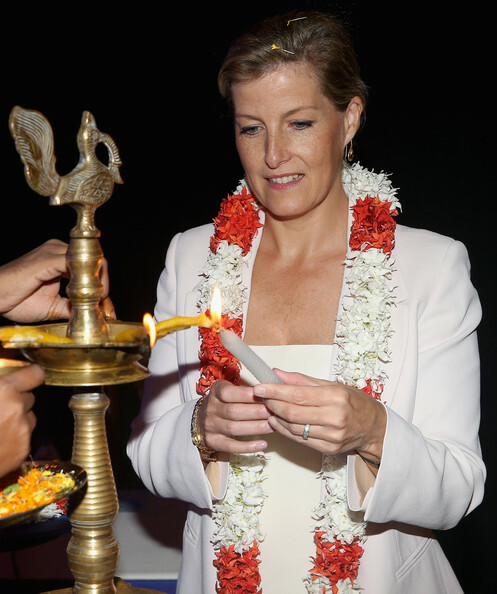 A joint visit to the Taj Mahal had been planned, but Prince Charles was due to attend a business leaders's forum in Bangalore, so the Princess ended up going on her own, and the press had a field day with pictures of her sitting alone on a bench in front of the mausoleoum just three days before Valentine's Day. 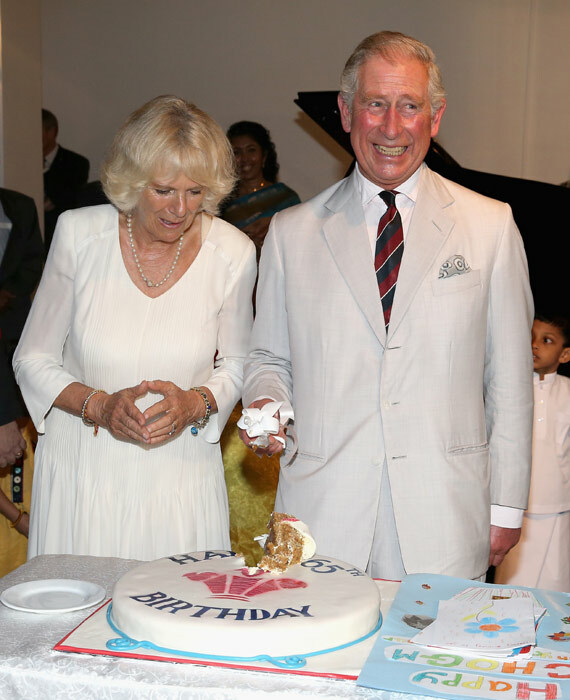 The cracks in the Wales's marriage where already there for all to see. 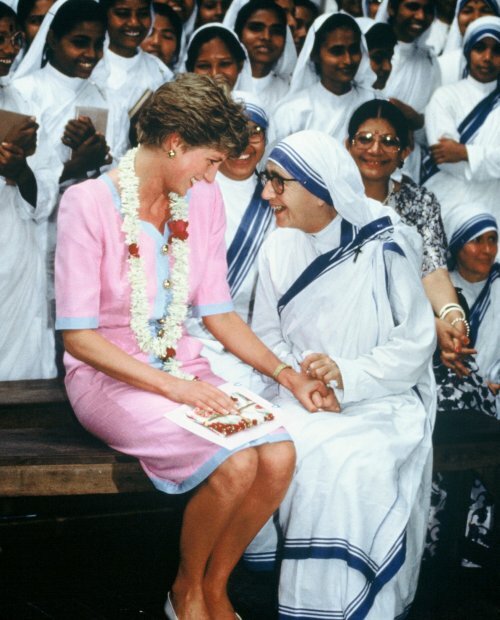 Before stopping at the Taj Mahal, she'd visited children at a Marie Stopes centre in Agra (above). 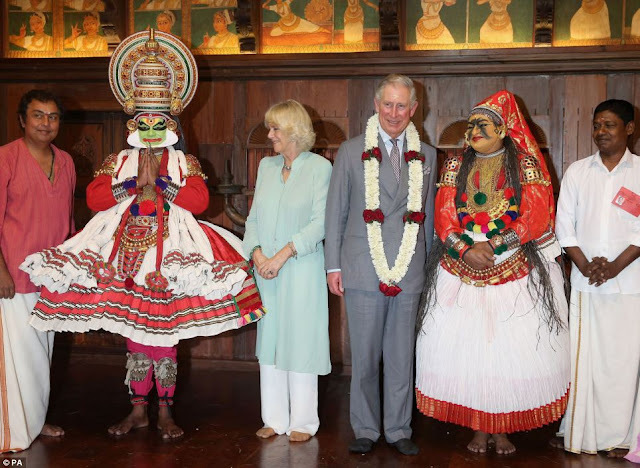 Meeting dancers from the Kerala Folklore Theatre and Museum who performed for the royal couple. 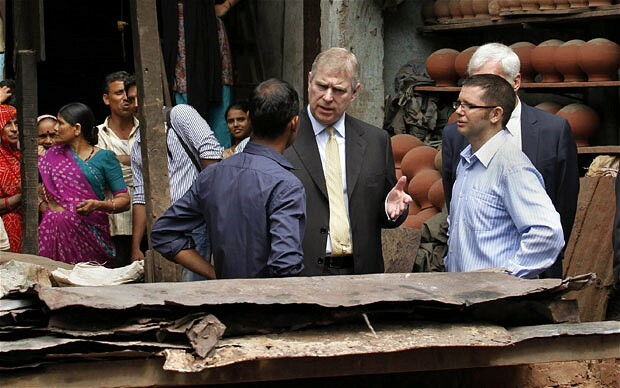 Listening to a guide on a visit to the Dharavi slum in Mumbai. 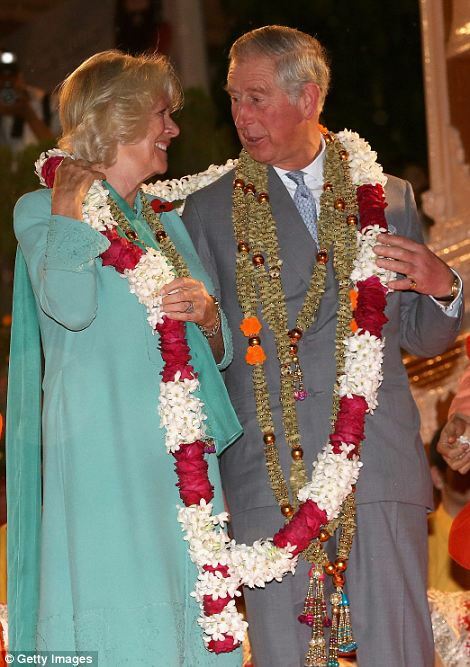 I very much hope you enjoyed this cavalcade through centuries of Anglo-Indian relations! 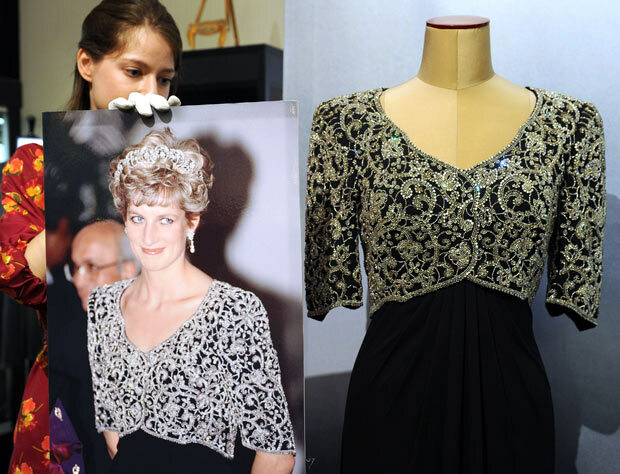 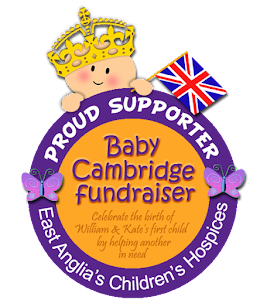 And now, with only a matter of days left before the start of this latest tour, I'm sure we can all look forward to many more fabulous photo opportunities, glitzy gowns and, in the words of the press release, new memories!